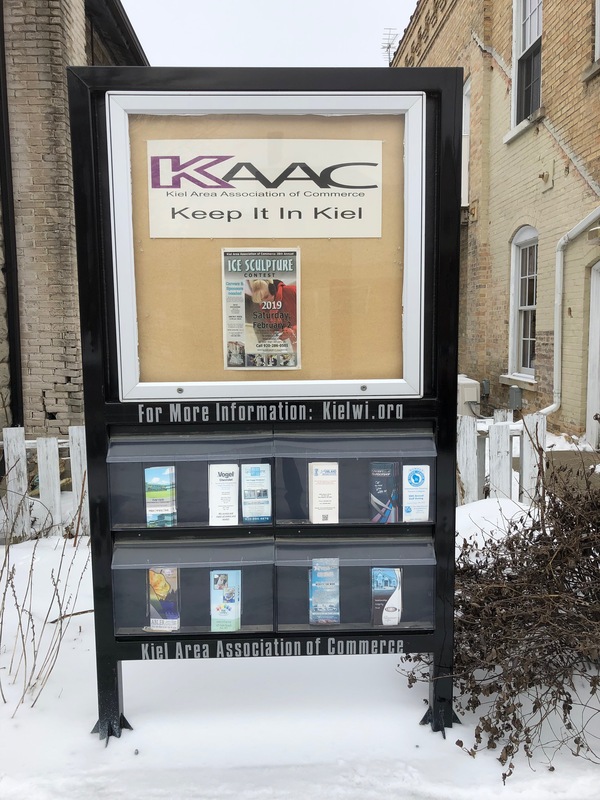 "THE LITTLE CITY THAT DOES BIG THINGS"
The Kiel Area Association of Commerce exists to promote business, industry and the greater community of Kiel, WI. NEXT MEMBERSHIP MEETING - see CALENDAR tab. Contact Missy at 920-894-7861 if you would like to hold the meeting at your location. back-Kevin Moehring-President, Shawn Mangan-Past President, Theresa Zimmermann, Pam Mathes-Secretary, Mark Brown. Not present - Melissa Pharis-Bank First National-Vice President, Patty Schreiber and Emily Matthews. Feeling Lucky?? You could be if you purchase KAAC 50/50 Raffle Tickets ! Tickets are $5 each or 3 for $10. Winner receives 50% of ticket proceeds with the remaining 50% proceeds to benefit the Kiel Parade. Drawing: Friday June 14, 2019 at 7 pm during Kiel German Day Event. Tickets are available at: Delta Publications & Kiel Community Center. 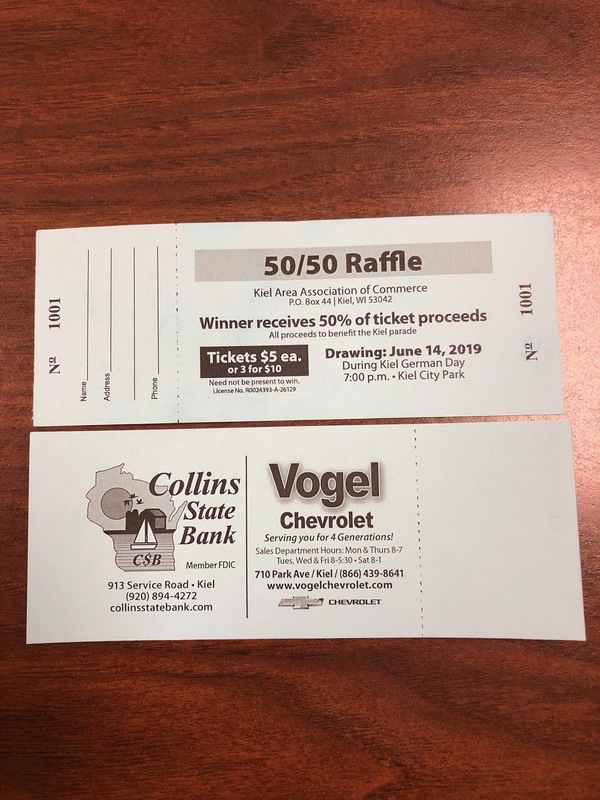 Thank you Collins State Bank and Vogel Chevrolet for sponsoring the tickets. Spots are available to promote your business at no charge for KAAC Members. Please email info@kielwi.org for more details. KEEP IT IN KIEL by purchasing Kiel Chamber Bucks, a year around gift certificate that keeps revenue in Kiel, supports the local businesses who in turn support the community. It comes around full circle when you use Kiel Chamber Bucks. Kiel Chamber Bucks certificates can be redeemed at any participating Kiel Area Chamber of Commerce businesses. Advanced notice for large orders is greatly appreciated.